Featured: U.S. Border Patrol’s “Head of the Class” program recently honored four students from the Edinburg Independent Consolidated School District. Border Patrol officials said that the program recognizes the academic excellence of 69 high-achieving seniors from high schools throughout the Valley. 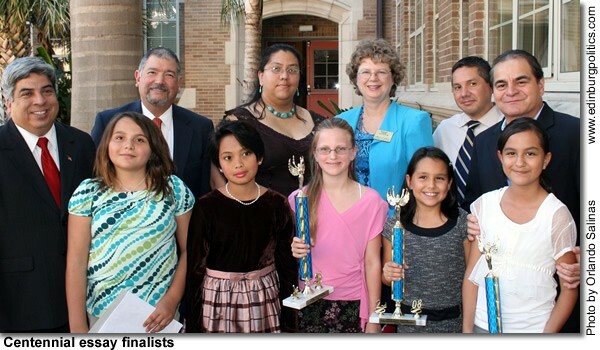 Students were nominated by their respective schools and selected by a committee. 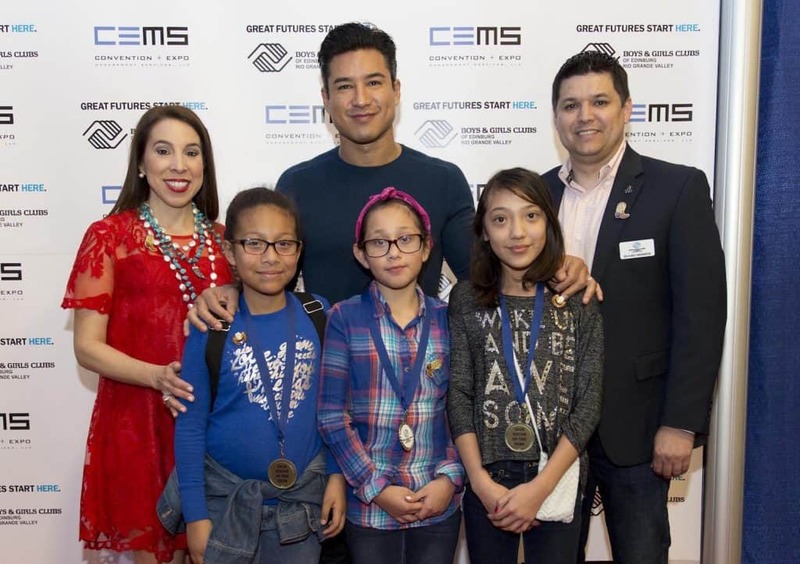 The students were selected based on being well-rounded students, who are involved in their schools and communities, as well as excelling in academics and promoting a drug-free lifestyle. 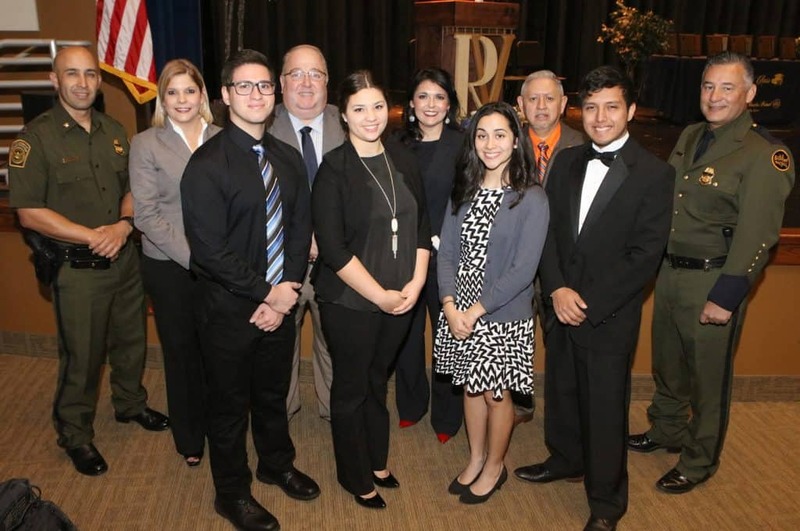 From left, front row, are: Vela High School senior Eric Anthony Jackson; Edinburg North High School senior Olivia Vela; Economedes High School senior Ángela María López; Edinburg High School senior Bryan López; and U.S. Border Patrol Agent Rubén García Jr.; Back row, from left, are: U.S. Border Patrol Agent Robert R. Galván; Vela High School Principal Sylvia Ledesma; Edinburg North High School Principal Mark Micallef; Edinburg High School Principal Yesenia Molina; and Economedes High School Principal Dr. Raúl D’Lorm. 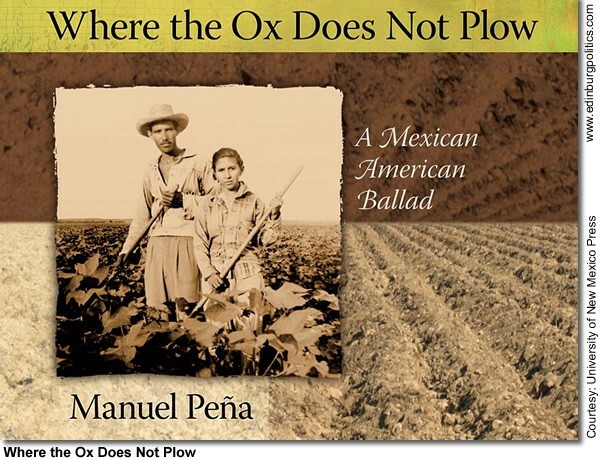 The students will compete with dozens of other Valley honorees for at least three $1,000 scholarships, which the Border Patrol expects to award in the spring. 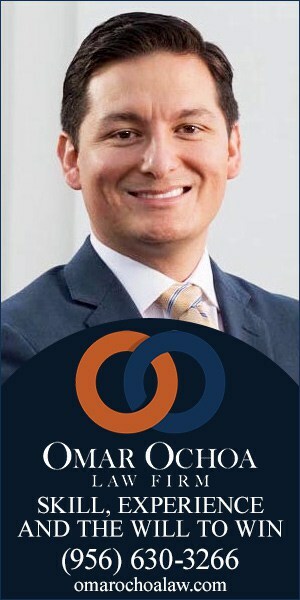 Miguel “Mike” Farías, Vice President of the Edinburg Economic Development Corporation, is a member of the Board of Trustees for the Edinburg school district, and Edinburg City Councilmember Gilbert Enríquez, who serves as President of the Edinburg EDC Board of Directors, is a former longtime member of the Board of Trustees of the Edinburg school district. 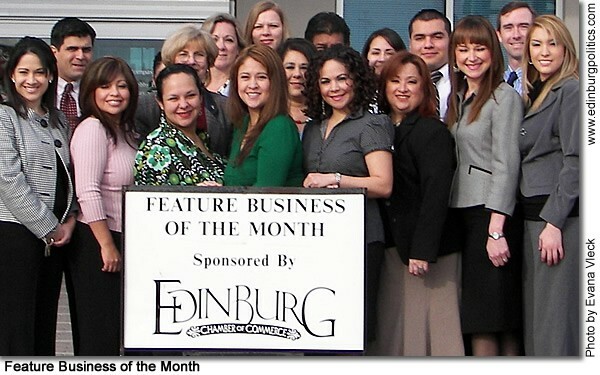 The Edinburg EDC is the jobs-creation arm of the Edinburg Mayor and Edinburg City Council. 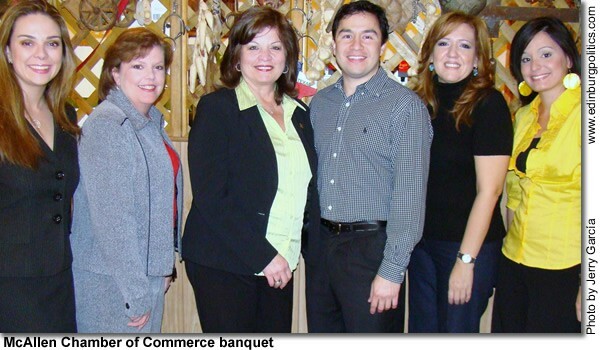 In addition to Enríquez and Farías, the Edinburg EDC Board of Directors is comprised of Isael Posadas, P.E., as Secretary/Treasurer, and Julio César Carranza and Noé Sauceda, Ph.D. as Members. 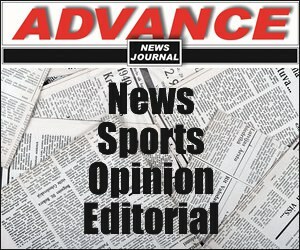 Edinburg posted an unemployment rate of 4.9 percent in December 2017, representing 37,232 jobs for that month, making the city, along with McAllen, the only two major economies in the Rio Grande Valley which came under the five percent level, the Edinburg Economic Development Corporation has announced. The unemployment rate is a key indicator of the strength of the local economy. 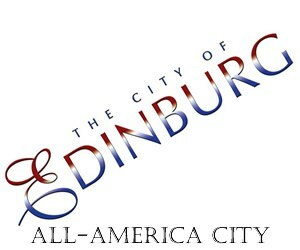 The Edinburg EDC is the jobs-creation arm of the Edinburg Mayor and Edinburg City Council. These latest figures, prepared by the Texas Workforce Commission and released on Friday, January 19, 2018, showed that there was an increase of 265 people employed in Edinburg in December 2017 (37,232) compared with November 2017 (36,967). Also, Edinburg saw a growth of 756 jobs when comparing the monthly total for December 2017, (37,232) and December 2016 (36,476), according to the Edinburg EDC. In addition, the December 2017 unemployment rate of 4.9 percent represents the sixth time during that month that the city’s unemployment rate has been below five percent since 2005, according to the Texas Workforce Commission. 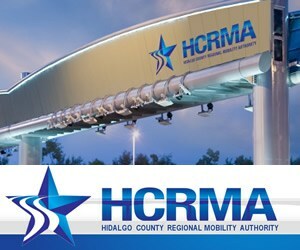 The number of jobs in Edinburg is independently documented by the Texas Workforce Commission, a state agency with many key duties, such as maintaining and reporting on key trends in state and local economies, including unemployment rates and the number of people employed in cities. The unemployment rate is the number of persons unemployed, expressed as a percentage of the civilian labor force, according to the Texas Workforce Commission. 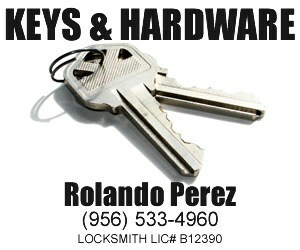 The civilian labor force is that portion of the population age 16 and older employed or unemployed. To be considered unemployed, a person has to be not working but willing and able to work and actively seeking work. During 2017, Edinburg has recorded one of the lowest unemployment rates among Valley cities in April and May, and came in with the second-lowest unemployment rates during the other months in 2017 through July. 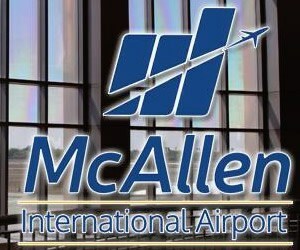 McAllen, which came in with a 5.4 percent unemployment in May 2017, tied Edinburg for the best showing for that month. For the past several years, Edinburg has registered the lowest or second-lowest monthly unemployment rate among all Valley cities. Edinburg’s December 2017 unemployment rate of 4.9 percent is part of a consistent pattern of positive reports, including November 2017 (4.8 percent); October 2017 (4.7 percent), September 2017 (5.5 percent), August 2017 (6.2 percent), July (5.7 percent), June 2017 (5.9), May 2017 (5.4 percent), April 2017 (5.4 percent), March 2017 (6 percent), February 2017 (6.4 percent) and January 2017 (6.2 percent). 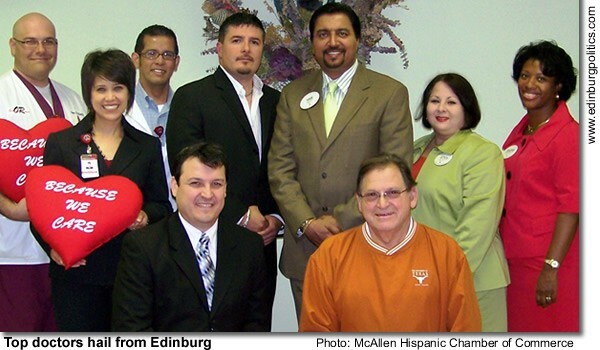 The Edinburg EDC Board of Directors is comprised of City Councilmember Gilbert Enríquez as President, Edinburg School Board Trustee Miguel “Mike” Farías as Vice-President, Isael Posadas, P.E., as Secretary/Treasurer, and Julio César Carranza and Noé Sauceda, Ph.D. as Members. 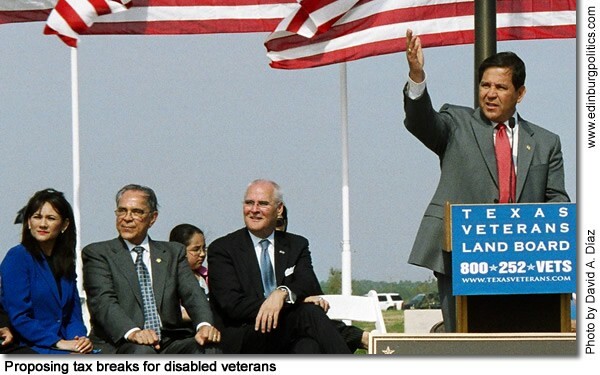 Rep. Ismael "Kino" Flores, D-Palmview, featured at the podium during the fall 2005 dedication of the Rio Grande Valley State Veterans Cemetery in Mission – the first such state facility built by Texas – continues to work on behalf of Texas’ military veterans and their families. 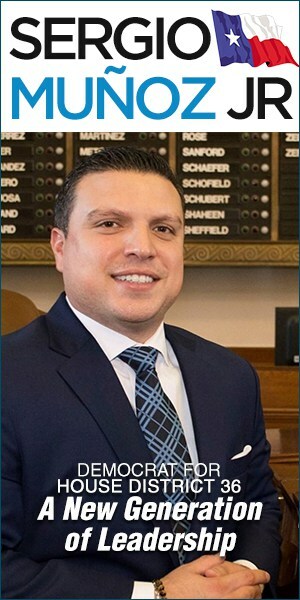 On Thursday, January 22, Flores filed a bill that would provide Texas veterans, who are physically- or mentally-disabled, as a result of military service, with as much as a 100 percent exemption on their home property taxes. 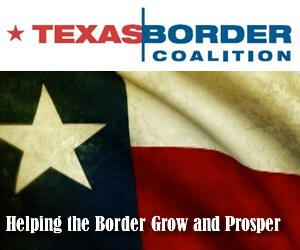 "We are pleased that Rep. Flores has carried this extremely important initiative for veterans of this state. 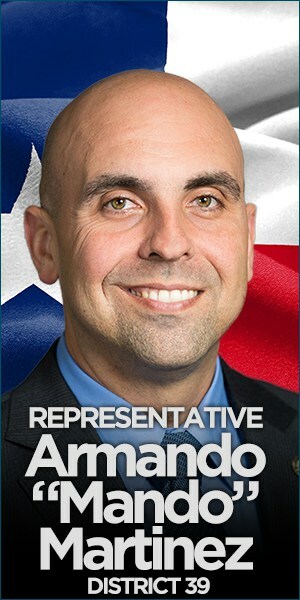 This bill is long overdue and we know that Kino has always taken a proactive approach to help veterans," said Emilio De Los Santos, the Veterans Services Director for Hidalgo County. "This bill not only will help veterans of the past, but also veterans of the Iraq and Afghanistan wars." Flores is a U.S. Army veteran. 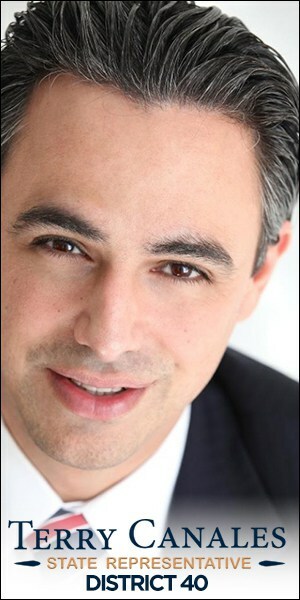 An identical measure, Senate Bill 469 by Sen. John Corona, R-Dallas, was filed on Tuesday, January 13. 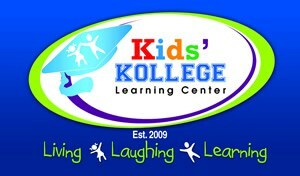 See related story later in this posting. In an effort to recover local funds spent on federal levee rehabilitation, U.S. 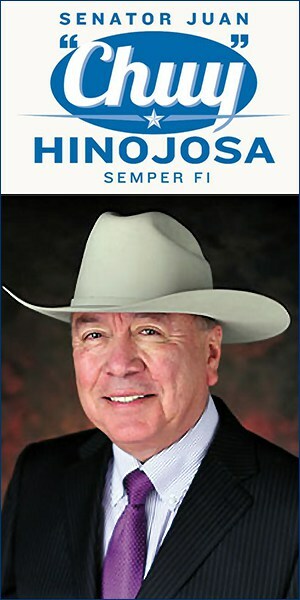 Congressman Rubén Hinojosa, D-Mercedes, featured left, on Thursday, January 22, introduced legislation that would enable the International Boundary and Water Commission (IBWC) to reimburse Hidalgo County for expenses incurred. 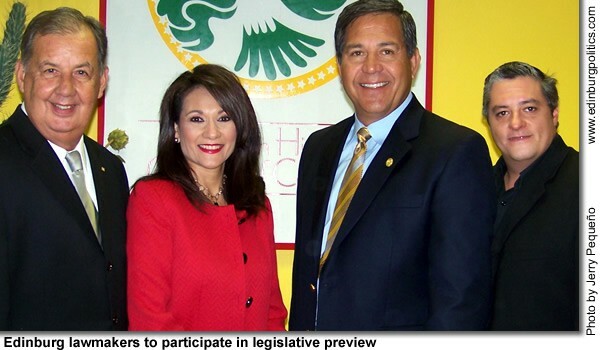 Hinojosa and Hidalgo County Judge J.D. Salinas III, featured center, also met on January 22 with Sen. John Cornyn, R-Texas, featured right, to discuss the reimbursement initiative and voice their commitment to repairing the Valley’s levees. 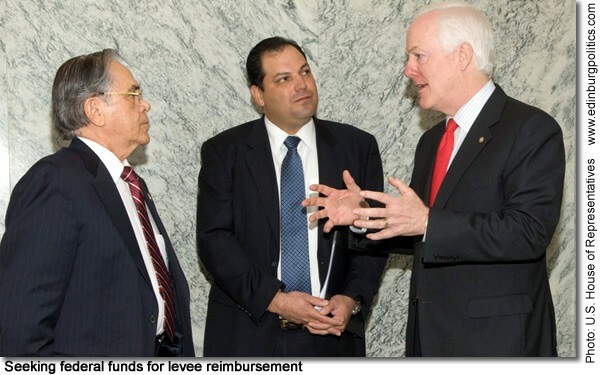 Cornyn has introduced similar legislation in the Senate that would reimburse Hidalgo County for its work on federal levee projects. 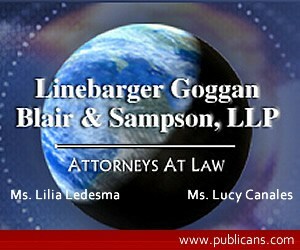 See related story later in this posting. 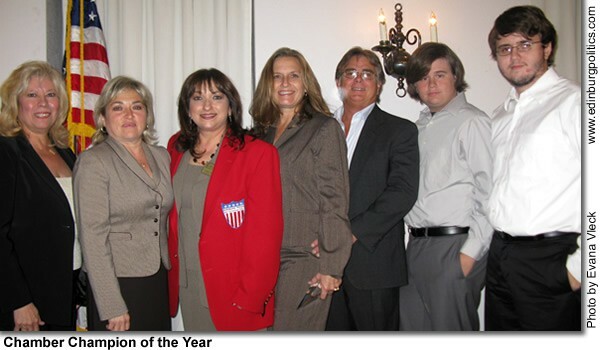 Dr. Blandina "Bambi" Cárdenas, featured left, on Tuesday, January 20, announced she was retiring at the end of the month as a result of health concerns. 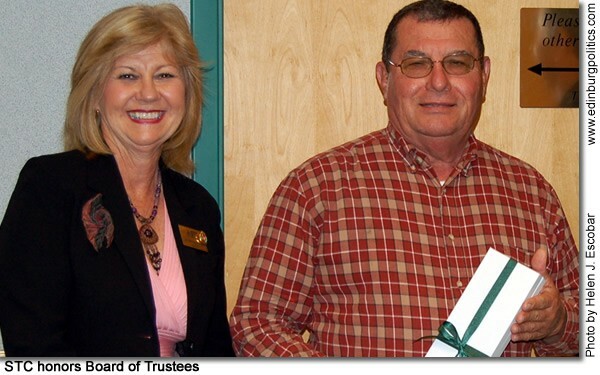 She was praised by two area legislators as an inspiration to the region. "I am saddened by the unfortunate, but understandable, retirement of President Cárdenas. 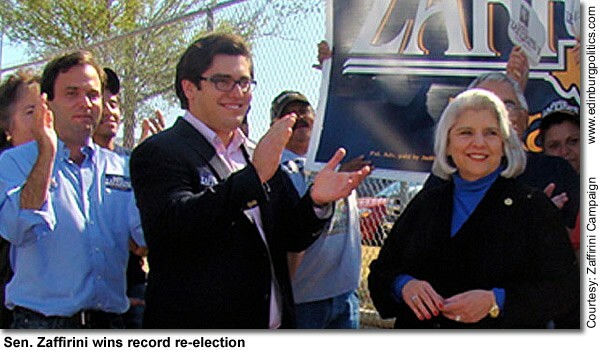 She has been an inspiration to me and to countless other people, not only in the Valley, but throughout the state," said Rep. Ismael "Kino" Flores, D-Palmview. 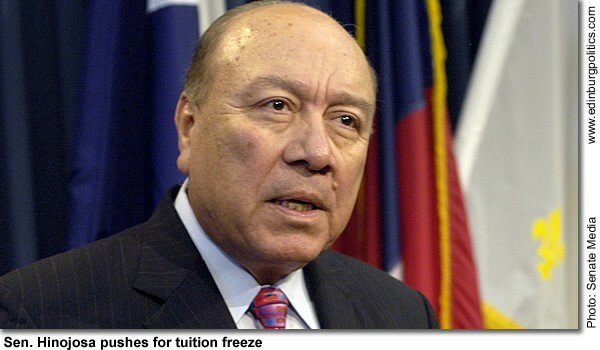 Sen. Juan "Chuy" Hinojosa, D-McAllen, also noted that "Dr. Cárdenas set a standard for academic excellence and continuous pursuit of self-realization and personal enrichment. 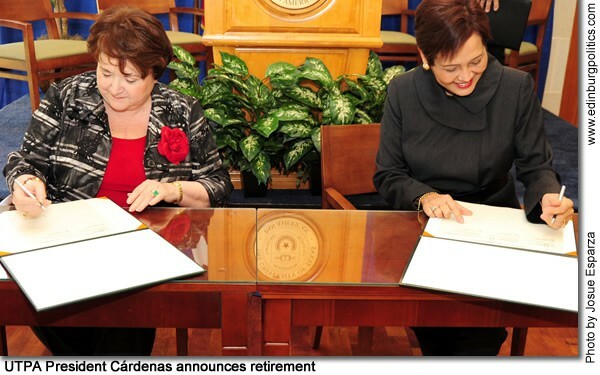 During her tenure, Dr. Cárdenas led UT-Pan American’s efforts to further establish the university as a model institution of higher education, serving a highly diverse population and increasing the access to advanced degrees in South Texas." She is featured here, with Dr. Marla Guerra, superintendent for the South Texas Independent School District, at the university in one of her final public ceremonies on Thursday, January 22. The two leaders signed a new partnership between UTPA and STISD to promote college readiness and success. 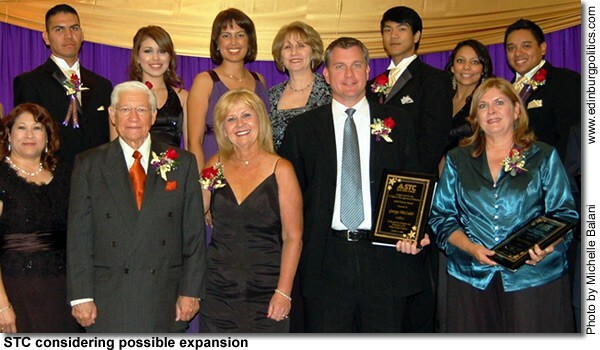 See related stories on her retirement and on the partnership with South Texas Independent School District later in this posting.